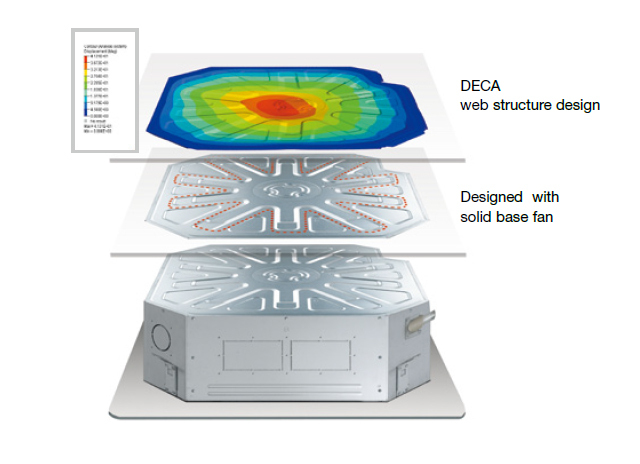 Improved vanes reduce the curved area and provide better air and temperature distribution. 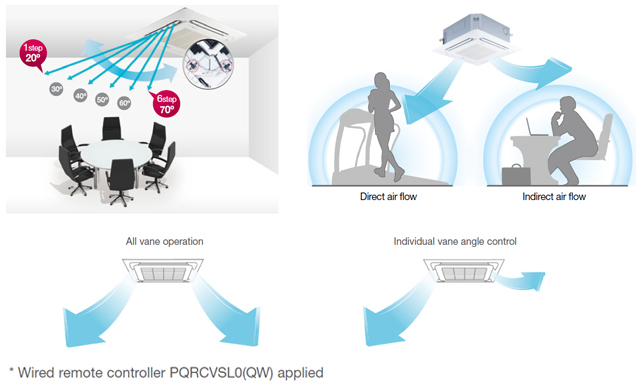 It is possible to control each of the 4 vanes individually as the motors are connected separately to each vane. 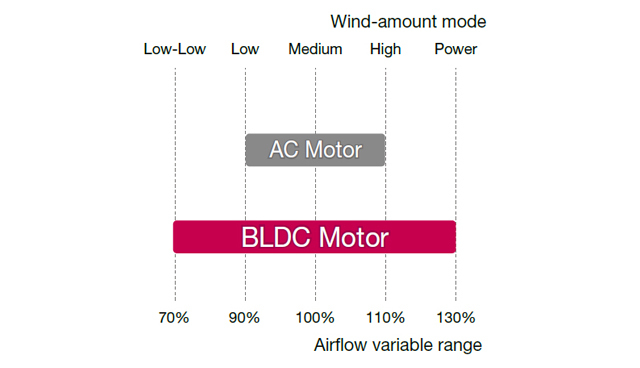 BLDC motor delivers low indoor noise levels by using the high efficiency turbo fan. 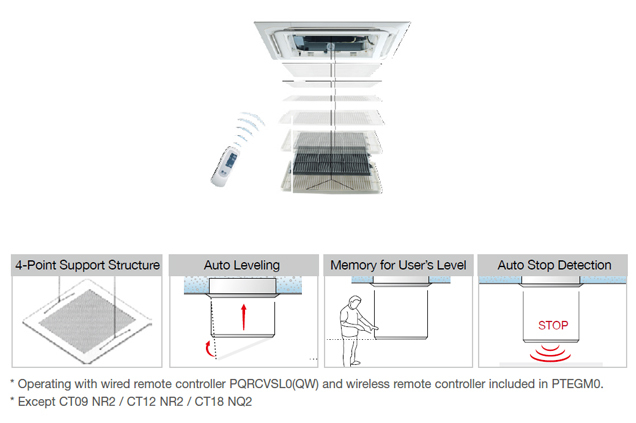 Anti vibration design reduces resonance noise. 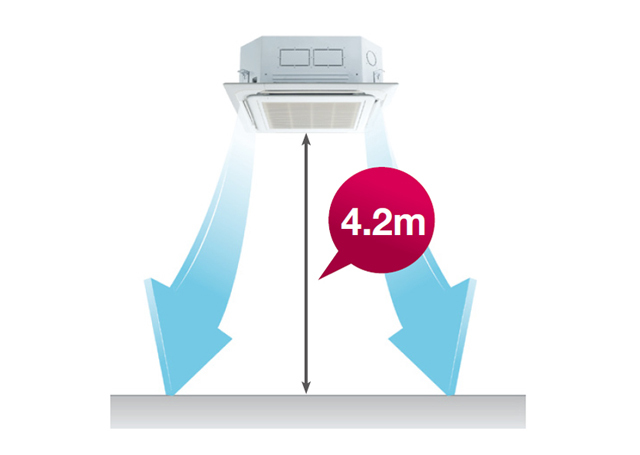 Designed to reduce resonance and noise with a solid base fan. 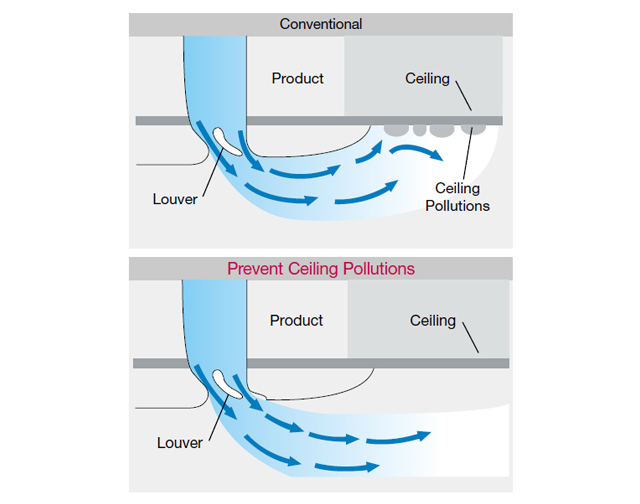 Coanda design of air outlet can prevent contamination of ceiling. 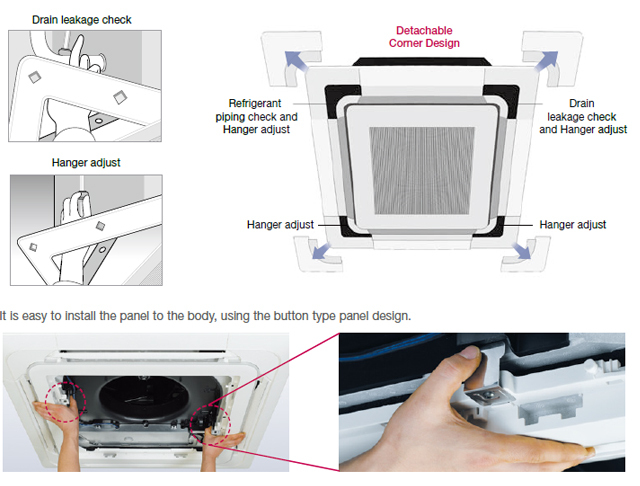 The detachable corner design makes it easy to adjust the hanger during installation and to check for leakages in the drain connection pipe.